By this time, you probably already know how blogs can affect your business in a positive way. There are a lot of options for you to consider when it comes to functionality and design of a business blog. But there are a few elements that can really make a huge difference in making your blog successful. There are three commonly used layouts for business blogs. You have the three-column with two sidebars and a main content column. There is the two-column layout with a sidebar and a main content column and finally, one with just the main content column. There are pros and cons for each of these layouts. It all depends on what the content of your blog will be. Do you want to have promotional content on your blog? Then a three-column would be perfect for you. Just be careful that your layout does not appear too distracting or worse, confusing. Whatever layout you decide on, be sure that it is mobile-friendly. Having said that, Google actually recommends using an interactive design as it reshapes itself depending on the size of the viewing screen. If you are not into the themes available for responsive design, there are plugins that can give your blog a mobile-friendly design. You can add multiple opt-in forms to your blog. These will help convert your blog readers into email subscribers so you can promote your company’s services and products. There are a few ways to incorporate these opt-in forms and of course, there are tools out there that can help you do it. You should not go overboard with it, however. If you are not comfortable with having a few, then at the very least, have one that readers can use to subscribe to at their convenience. This is a definite must. Why? Because this is the easiest way for you to get your blog out there! When your readers find interesting stuff on your blog, they would like to share it. And they would look for social media buttons that will allow them to conveniently do so. If it’s possible for you, edit your blog design so you can add the official sharing buttons for social networks including Facebook, Twitter, and more. If you prefer a plugin, then there are also a number of tools you can turn to. Some allow you to create buttons for sharing in over 80 social networks. There you go – your guide to some of the most important elements on your blog. We hope you enjoy blogging. 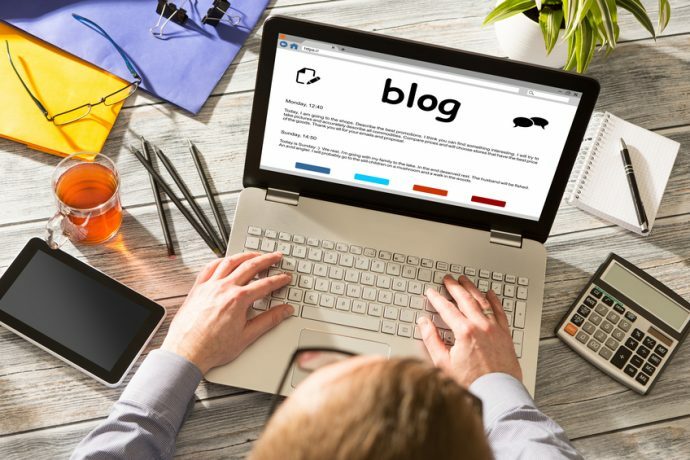 If you haven’t got the time to create and manage your blogs, Referlinks can provide you with blogging solutions that will be perfect for your business. Call us! This entry was posted in Blogging, Online Marketing and tagged Blogging,Blogs,business,business blog,Content,Online Marketing on June 15, 2016 by ReferLinks Online Marketing.